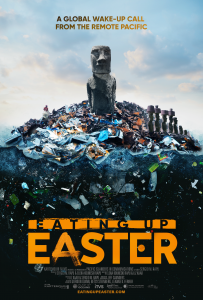 The iconic statues and sensationalized “mysteries” of Easter Island (Rapa Nui) have drawn the interest of the world for centuries, attracting curious visitors to its shores. Today, this tiny, barren island is experiencing an economic boon as tourism skyrockets. Yet the indigenous culture and the island’s fragile environment are suffering. 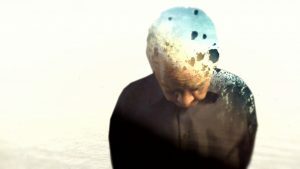 Going to Mars is a feature length documentary film in which Nikki Giovanni, one of America’s greatest living poets, orators and social commentators, will compel audiences to laugh and cry using her poetry and biting social commentary. As a social commentator Nikki Giovanni stands toe-to-toe with the best. She has the satirical wit of a Will Rogers and the comedic timing of David Letterman. She has influenced both her contemporaries, from Muhammad Ali to Maya Angelou, as well as today’s hip-hop artists such as Kanye West. She in turn demands, using a contrarian point of view, that we question our assumptions about race, gender, equity and privilege and challenges us to hope and dream for a better tomorrow. 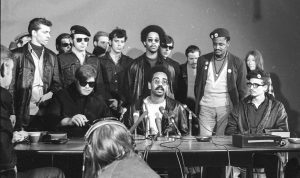 In 1969, the Chicago Black Panther Party began to form alliances across lines of race and ethnicity with other community-based movements in the city, including the Latino group the Young Lords Organization and the southern whites of the Young Patriots organization. Banding together in one of the most segregated cities in postwar America to collectively confront issues such as police brutality and substandard housing, they called themselves the Rainbow Coalition. By 1973, the coalition had collapsed under the weight of relentless harassment by local and federal law enforcement. Although short-lived, it had an outsize impact: Breaking down barriers between communities, it created a permanent shift in Chicago politics and an organizing model for future activists and politicians across the nation. The First Rainbow Coalition tells the movement’s little-known story through rare archival footage and interviews with former coalition members. In the 1970s, with the swagger of unapologetic Indianness, organizers of the American Indian Movement (AIM) fought for Native liberation and survival as a community of extended families. Warrior Women is the story of Madonna Thunder Hawk, one such AIM leader who shaped a kindred group of activists’ children – including her daughter Marcy – into the “We Will Remember” Survival School as a Native alternative to government-run education. 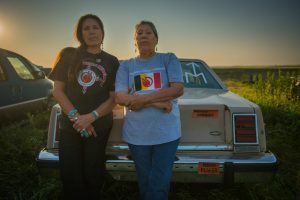 Together, Madonna and Marcy fought for Native rights in an environment that made them more comrades than mother-daughter. Today, with Marcy now a mother herself, both are still at the forefront of Native issues, fighting against the environmental devastation of the Dakota Access Pipeline and for Indigenous cultural values. Impact Kickstart was launched with the understanding that a solid strategy for audience engagement and strong partnerships are critical for a documentary film to make a difference. Filmmakers often lack time to do this work themselves or the expertise and the funds to pay for it. Emerging artists, creators of color, and other underrepresented filmmakers can face the biggest hurdles, despite the potential of their projects. To respond to this challenge, Working Films offers free impact campaign development services to underrepresented artists whose films hold great promise to shift understanding and catalyze action that addresses some of the most critical issues of our time. Impact Kickstart is made possible through generous support from the John D. and Catherine T. MacArthur Foundation.